Wayne Burrett’s retirement from RSC was recently celebrated by Roller Sports Canada. Wayne Burrett was involved with RSC during its beginnings in the early 1970s’s and continues to support the Federation even after his retirement! 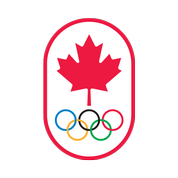 At the time of its creation, Roller Sports Canada was called the ‘Canadian Federation of Amateur Roller Skaters’. Wayne served to support athletes, coaches, Clubs and a variety of international Teams in roller figure and roller speed skating. Roller Sports Canada thanks Wayne Burrett for his years of devoted service. RSC wishes him all the best in the future! This entry was posted in Artistic, Roller Derby, Speed. Bookmark the permalink.